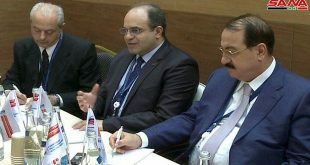 Yalta/Crimea, SANA – Economy and Foreign Trade Minister Samer al-Khalil called on the representatives of the states participating in the 4th Yalta International Economic Forum (YIEF 2018) to participate in the reconstruction process in Syria. In a speech on Friday at the General Assembly of YIEF 2018, al-Khalil said that the Syrian government is working to rehabilitate infrastructure and provide electricity, water, hospitals, schools, and sanitation services to citizens in the areas that have been liberated from terrorism. 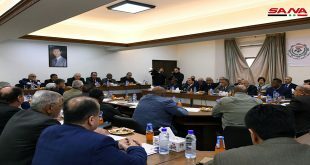 The Minister said that Syria has outlined new important projects for reconstruction and developed investment laws in order to provide incentives to those who wish to invest in it, noting that the diversity of Syrian economy contributed to it remaining intact despite the terrorist war and the coercive Western sanctions. 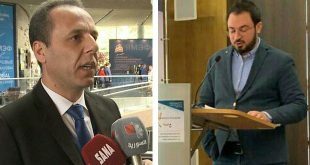 On a relevant note, a cooperation agreement was signed on the sideline of the Forum between youth organizations in Syria, Egypt, Kazakhstan, Russia, and Spain to develop youth volunteer work, and exchange visits and expertise in the fields of science, education, culture, sports, and other activities. 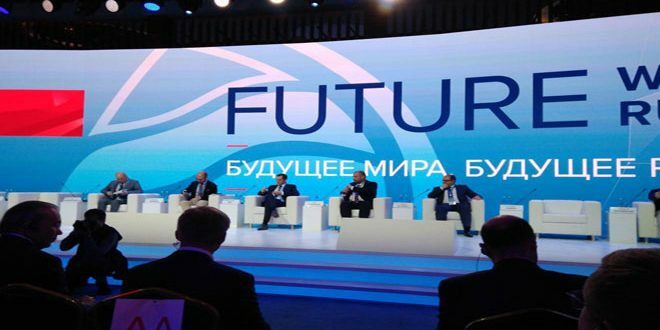 YIEF 2018 kicked off on Thursday in Crimea with the participation of a Syrian delegation headed by al-Khalil.